Design Elements for a Large Tattoo! Large canvases such as backpieces can be great fun with all that space to design for, but this fact makes it even more crucial that you determine- Hey, which design elements get your top visual priority? 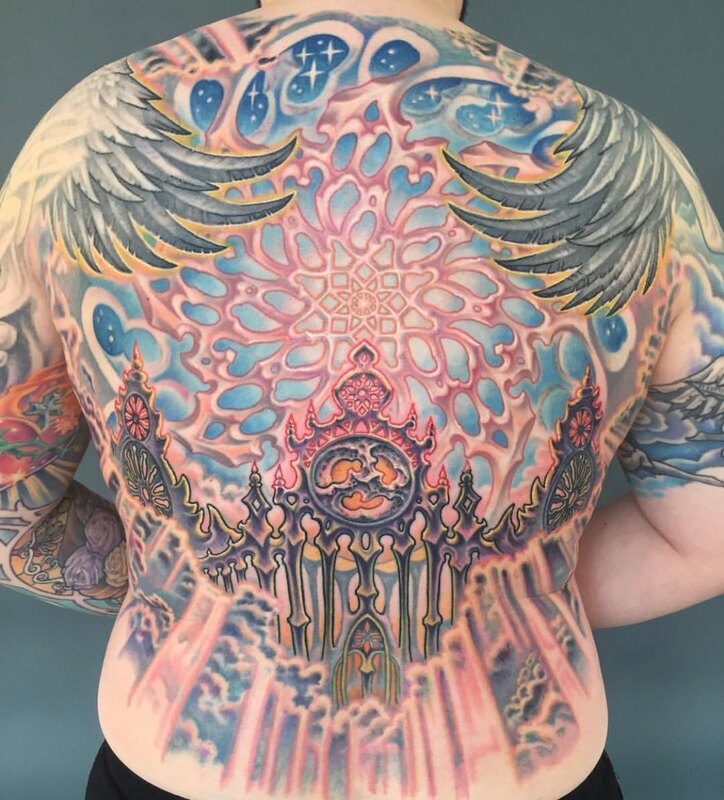 In this Heaven-themed back tattoo that I did with Brian Geckle, we wanted to combine an airy, luminous mandala with a row of fences and gates- both elements being geometric and symmetrical, giving us the challenge of keeping them visually separate. Part of this was accomplished simply by being selective with our use of black. You can read about this in more detail in the Priority chapter of your ReinventingTheTattoo.com subscription.